Larson, Gary. 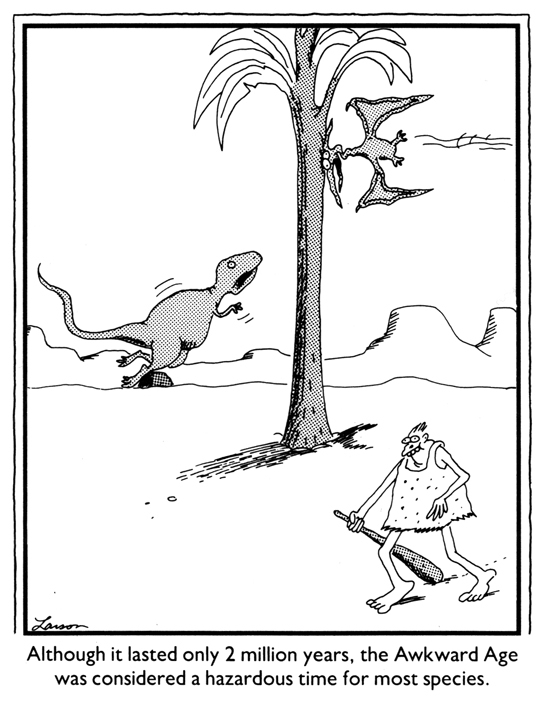 The PreHistory Of The Far Side, A 10th Anniversary Exhibit. Kansas City, Andrews and McMeel, 1989. Pg 232. 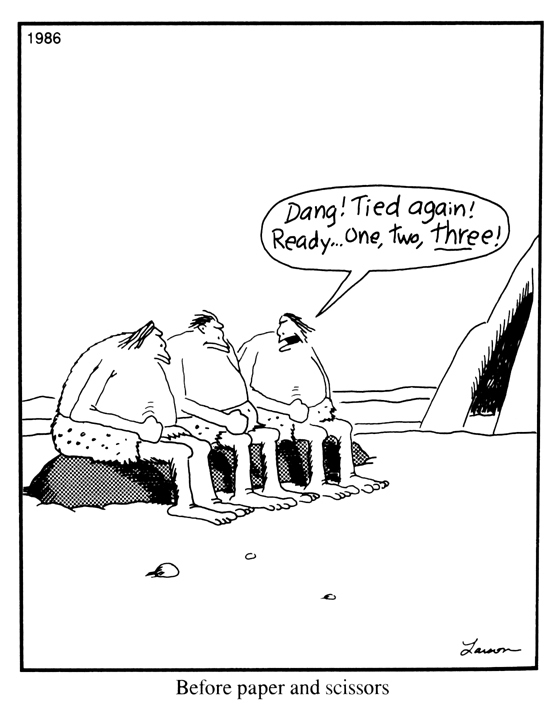 This entry was posted in The Conglomerate and tagged comic, evolution, humor, the far side on January 19, 2015 by NDrockclub. Larson, Gary. 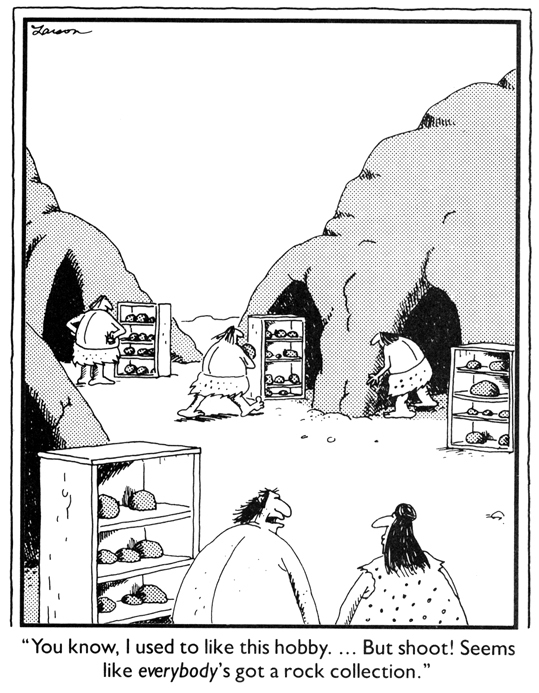 The PreHistory Of The Far Side, A 10th Anniversary Exhibit. Kansas City, Andrews and McMeel, 1989. Pg 222. This entry was posted in The Conglomerate and tagged caveman, comic, rock, the far side on December 8, 2014 by NDrockclub. Larson, Gary. The Far Side Gallery 4. Kansas City, Andrews McMeel Publishing, 1993. Pg. 23. 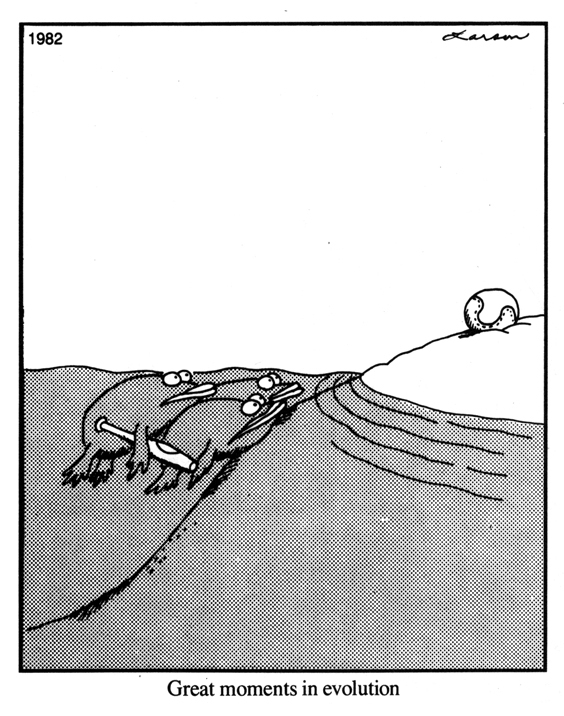 This entry was posted in The Conglomerate and tagged comic, geology, humor, rock, the far side on December 1, 2014 by NDrockclub.